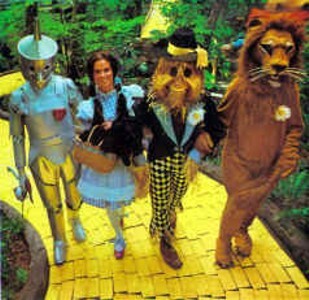 North Carolina’s Land of Oz theme park is finally re-opening on Fridays in June. Tickets are already sold out for this Friday. 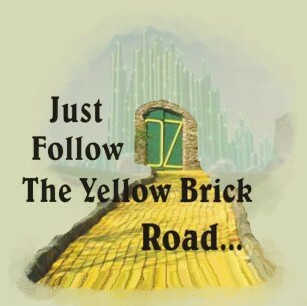 In 1990, the 450 acre project known as Emerald Mountain development was begun; the concept of creating home sites with respect to The Land of Oz being one of their goals. In the past eight summers, Oz has become an enchanting private garden, with Dorothy’s farm restored, gazebos renovated, fountain, pond, and waterfall made operational, and the yellow brick road unearthed and patched. For now, the character houses and Emerald City are gone. Dorothy’s house is a lovely cottage they now rent to romantics wanting to escape. This is the third year that The Land of Oz has opened for a limited time. The theme park originally operated from 1970 to 1980. When the park was open year-round, people could wander through Dorothy’s farmhouse and take a ride on a hot air balloon. Organizers say tours with the character Dorothy from The Wizard of Oz take place every hour between 10:30a and 3:30p. Tickets cost $12.50 plus $10 for a round-trip lift ticket. This entry was posted on Wednesday, June 1st, 2016 at 1:32 am	and is filed under Blog by Manny Pacheco. You can follow any comments to this post through the RSS 2.0 feed. Responses are currently closed, but you can trackback from your own site.